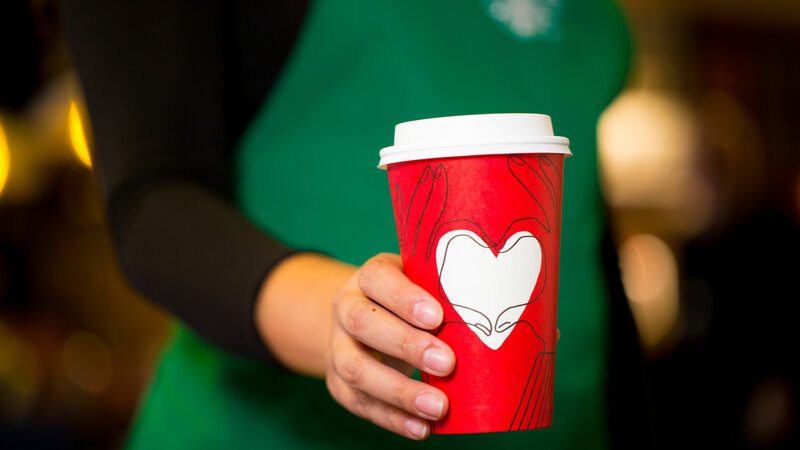 Less than a month after Starbucks launched their 2017 holiday cups, they have decided to launch a new one, and this one is a more familiar-looking red cup meant to celebrate the good in each other. 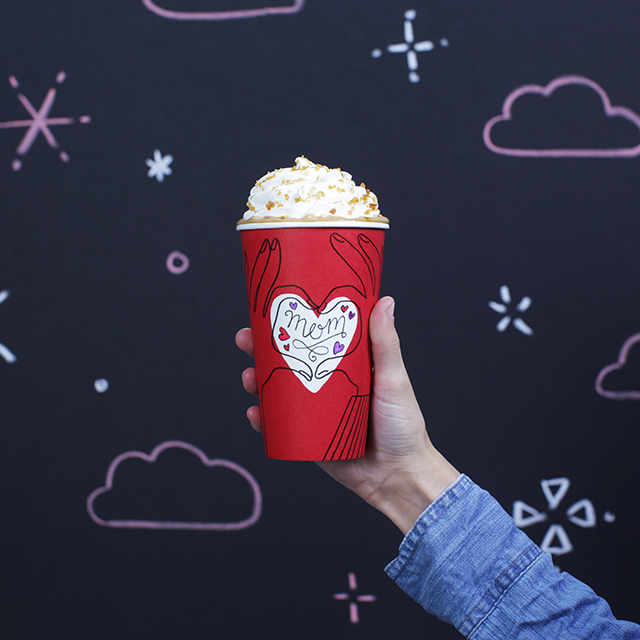 Starting today for a limited time, Starbucks will be using this red holiday cup, which hopes to inspire customers to think of those who “fill their heart and embody goodness” this holiday season by writing that person’s name in the heart of the cup. There’s a social media element as well: Customers are encouraged to share their self-designed dedication cup on social media with the hashtag #GiveGood. The new cups are not the only new Starbucks news this week. Yesterday, Starbucks and Spotify announced three limited-edition Starbucks cards featuring Chance the Rapper, Lady Gaga and Metallica that will be available in company-operated Starbucks stores starting Nov. 28. These gift cards are part of the same Give Good campaign as the new cups. Starbucks and Spotify are donating $1 million dollars divided among the artists’ charities — Chance the Rapper’s SocialWorks Chicago, Lady Gaga’s Born This Way Foundation and Metallica’s All Within My Hands Foundation — to benefit youth empowerment, education and veterans. So, maybe while heading out today to get that red cup to Instagram, you should pick up one of these gift cards. They’ll make great stocking stuffers this holiday too.